10.5 x 5.7 x 2.0 cm. The Jeffrey mine has produced the finest grossulars in the world, hands down. The pink variety is quite uncommon, and highly sought after, especially the really good ones like you have here. The grossulars are lustrous, gemmy, and beautifully formed. They are gemmy throughout. 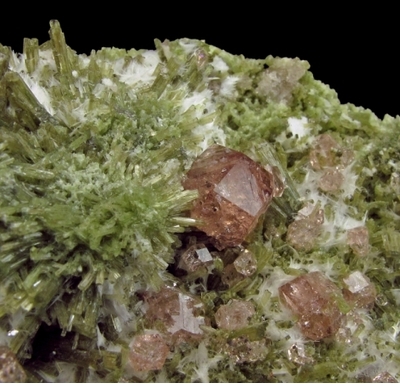 The largest grossulars reach about 8 mm, but the several dozen crystals range from small to large. They rest on lustrous, acicular diopside crystals, with white wollastonite interspersed like snow in the grass. 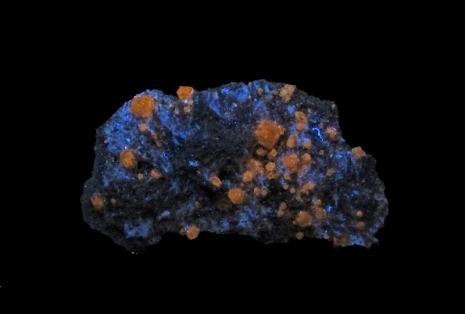 The grossulars fluoresce orange. Rare. Ex. Keith Proctor Collection. Ex. Hoppel Collection.